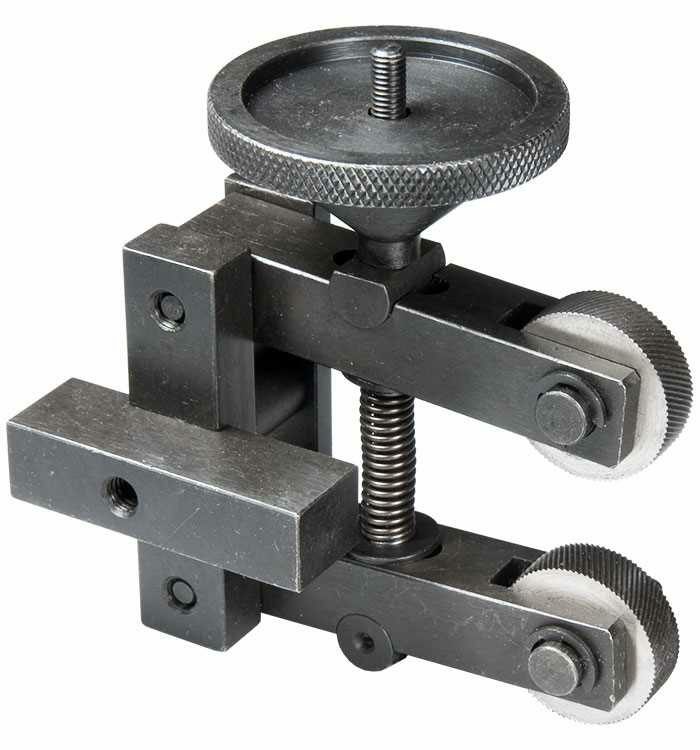 The 12mm Clamp Type Knurling Tool fits any 12mm tool post and is positioned so the knurling wheels are above and below the centre of the work. As the adjusting knob is tightened, the knurling wheels come into contact with the work and the knurling process begins. The self-centring mechanism applies equal pressure to both top and bottom wheels and puts very little strain on the machine (unlike bump type knurling tools).